The STF-1 team made the decision early on to leverage the efforts of another Goddard CubeSat mission, Dellingr, in components used. This included custom designed solar panels created in house. Interns at GSFC spent a summer perfecting the process of designing and building these solar panels. 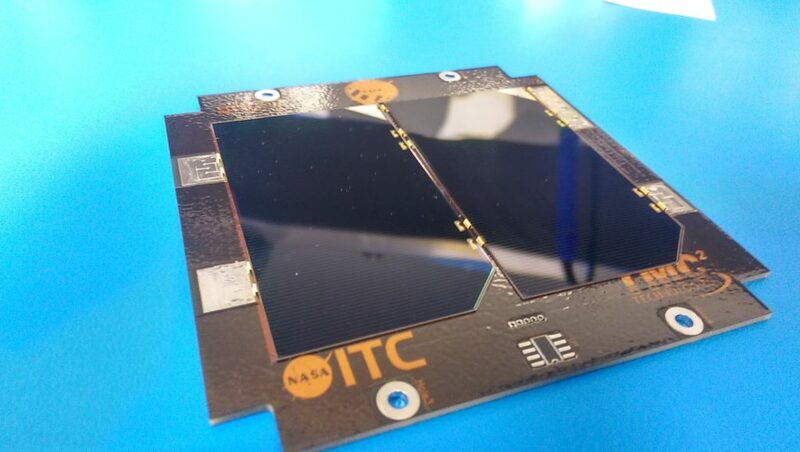 This includes printed circuit board (PCB) design, construction materials and process, as well as how to test a panel is fully functional and ready for flight. 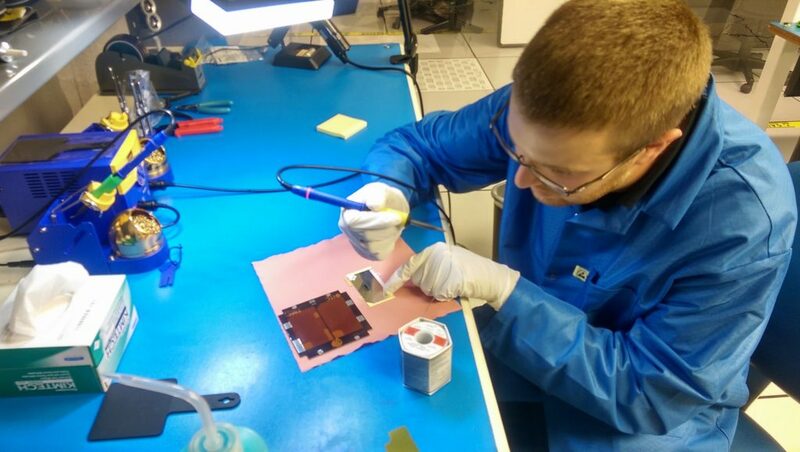 The picture above shows STF-1’s technical lead, Matthew Grubb, preparing to solder the silver connector onto the solar cell to allow for a connection to the PCB. STF-1 will have up to seven of these cells connected in a row attached to the board only by the four solder pads and a special type of tape underneath each cell. Below you can see the completed solar panel and these connections. The temperature sensor (empty pad in the picture) will be added and tested before flight as well. Members of the STF-1 team have been visiting Logan, Utah, home of the Space Dynamics Laboratory (SDL) and Utah State University for the small satellite conference. 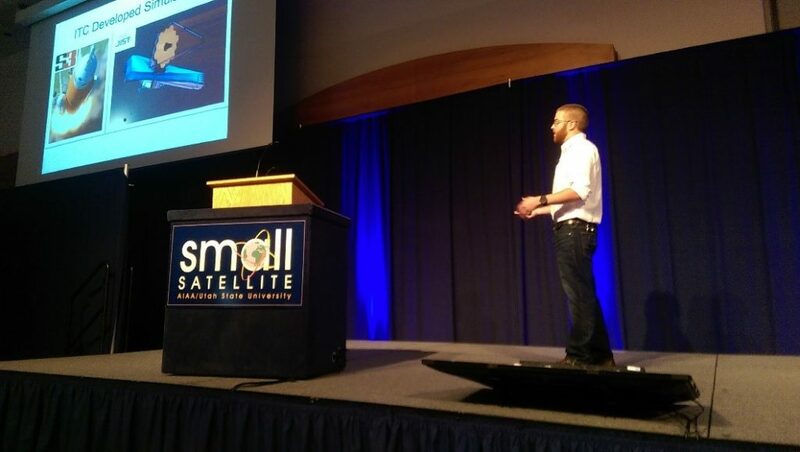 This conference spans a week including a weekend workshop dedicated to CubeSat Developers where Matthew Grubb presented on the NASA Operational Simulator for Small Satellites (NOS3). NOS3 is an open source platform merging in various GSFC technologies into one package. These include 42, cFS, COSMOS, and NOS Engine. A full presentation can be found on the smallsat.org website for download. Additional presentations on cFS can be found as well. 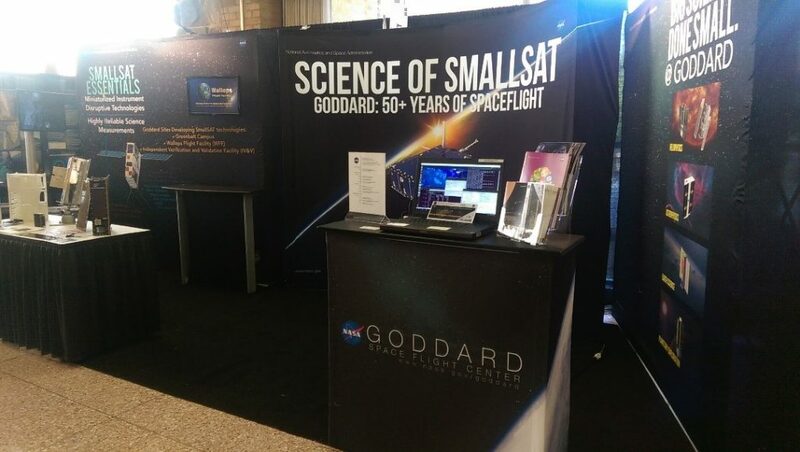 Goddard Space Flight Center also had a booth at the conference presenting on all the current and future planned CubeSat missions such as Dellingr, IceCube, CUTIE, and STF-1. This included 3D printed models and videos showing simulations of the spacecraft and the assembly process.